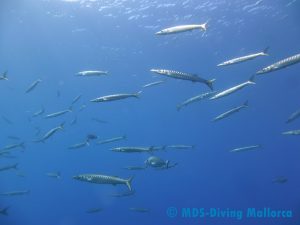 Cabrera Islands day trip 2 dives – min. 3 scuba divers! 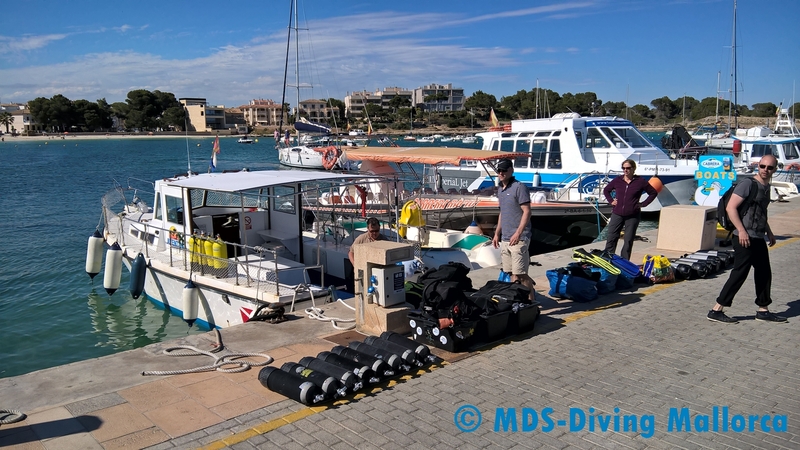 We will meet at the dive base in the morning and drive to Colonia de Sant Jordie with our bus. From there we’ll hop onto the boat and reach Cabrera in about one hour. Given that Cabrera is considered to be a DeepDive, a certification from AOWD (+Deep), CMAS** or equivalent is required. Additionally, a copy of your Passport or ID and your scuba diving certification is mandatory. You can send us these documents in advance via email. Cabrera („goat island“) is located approx. 14 kilometers (8.7 miles) off the south coast of Majorca. Next to the main island Isla de Cabrera, 17 additional small islands belong to the national park „Archipielago Cabrera“ (April, 29th, 1991). 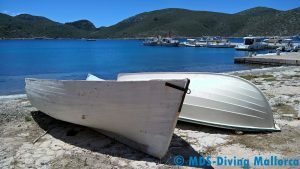 The entire group of islands forms a national park and is practically uninhabited, except for a military base and a very small number of civil inhabitants. Cabrera has a moving history. 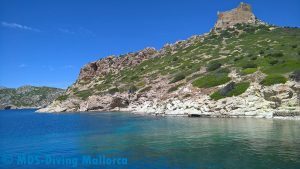 In the 14th century a castle was built in a deep and wind-protected natural harbor above the main bay of Cabrera as protection from pirates. In the Spanish war of independence a detention camp for French prisoners was established in 1809. A memorial in the center of the island remembers this tragic episode in the history of this island. In 1991 the archipelagic including the surrounding marine area was pronounced a national park. Since July 1st, 2008, there is a visitor center for the national park Cabrera in Colònia de Sant Jordi at the Plaça Es Dolç. 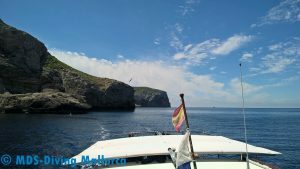 A nature protection program and also the Spanish military keep a close watch over everything that happens on and around Cabrera. Scuba Diving can only be practiced with special permission. 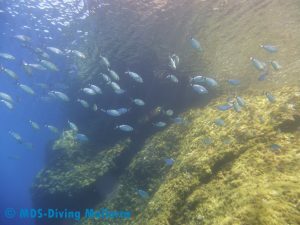 The island’s history makes the diving sites around Cabrera (since 1991) virtually untouched. 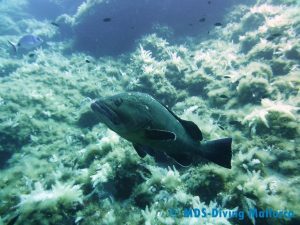 You will definitely encounter Mediterranean big-fish like barracudas and adult groupers (up to 1.5 meters / 5 feet in length). The underwater landscape, the diversity of fish, and the untouched fauna makes the journey certainly worthwhile.